Sometimes the most critical thing how to deal with difficult customers on the phone is listening. Even if a customer is angry to the point of yelling, sometimes venting can still yield positive results in the end. Here are some specific techniques to use while you are listening to customers, no matter their current state of mind. Be an active listener. If you go on mute during the entire description of a problem, a caller will likely conclude that you aren’t paying attention or don’t care about their problem—or both. Instead, encourage them to continue talking by providing small verbal feedback cues (e.g., “I see,” “Okay”) so that they know you are actively engaged. Try to figure out the actual problem. When you really start listening, you can sometimes figure out that the situation they are venting about may have nothing to do with the actual problem that needs solving. Express empathy. Even if the customer is not yelling, they are likely at least bothered if not a bit upset about whatever they are calling about. By assuring them they are justified in their frustration, you can help smooth the relationship and get them to believe you do care about solving their problem. Pay attention to subtleties. When you asked the customer how they were doing today, did they give a curt ‘Fine’ and cut right to the point, or did they talk for 30 seconds about the weather and how they couldn’t wait to take their dog (a beagle, you learned) out for a walk later? How much better do you think your rapport with a customer would be if you could mirror their approach to your call, matching “get to the point” or “chit-chat a bit first” depending on their preference? 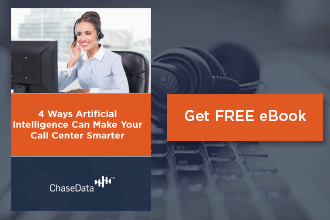 When you are in the middle of a tense conversation, the most normal reaction in the world might be to say something sarcastic or yell back—however, as a call center professional, you need to keep your reactions in check. How to deal with difficult customers on the phone and keep reactionary emotions out of your call? Keep your voice calm and pleasant. If you make a point to smile while you are on the phone, it will come across in your voice. Practice doing this alone or on the phone with friends and see if you and they feel that your voice comes across as more soothing and pleasant when you smile. Just don’t go overboard or customers might feel that you are making fun of them or the situation. Address people by name. Using a customer’s name, including their proper title if applicable, can subtly remind customers that at the end of the day, you are two people just trying to get a problem solved. Don’t take it personally. It is possible that there is nothing that can be done to calm the customer down to the point of working through the problem productively, and that can lead to extremely inappropriate behavior or language by the customer in some cases. Try to remember that they are upset with the company and the situation they are in, probably not you personally. If they ask to speak to a manager, transfer them without a fuss. If they are berating or verbally abusing you, you should not have to remain on the line—use your company’s guidelines to either transfer the call or end the call professionally. 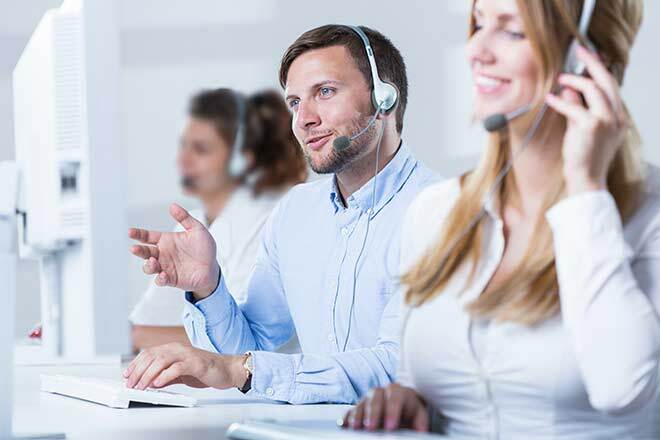 Hopefully, at this point in the call, any severe anger has been diffused, and you’ve been able to ascertain what the actual problem is that the customer wants to resolve. Work as quickly as you can. Remember that the customer took time out of his or her busy day to get on the phone to try to resolve this problem and may have lost patience or be anxious by this point. Keep them up-to-date every few minutes, if appropriate, with what you are trying or doing to get their problem addressed so that they know you are actively working on the situation. Avoid putting people on hold. 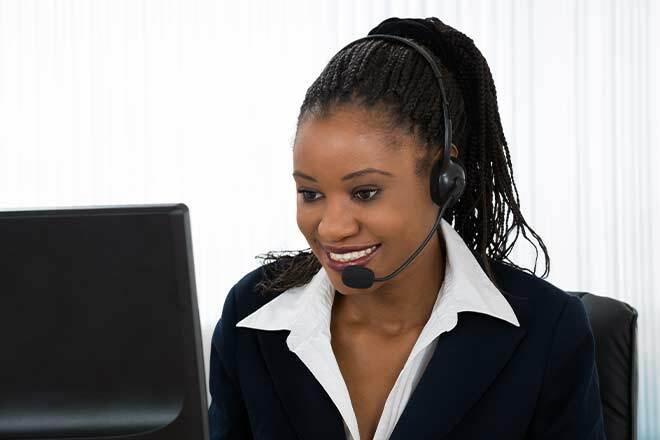 It’s possible that the customer spent many minutes on hold already, just waiting for the connection to a live person—they do not want to spend another second there, thinking there is a possibility that they could be forgotten or the call could cut out suddenly. Whenever possible or appropriate, complete any support tasks while the customer can hear you. If you need to put them on hold, be sure to set clear expectations by describing what you are going to do and approximately how long it will take until you return to the line. Sometimes things just go sideways, and as the ‘face’ of the company that the customer has reached, it is your job to apologize if the company has slighted the customer in some way and an apology is appropriate. If the source of the problem was self-inflicted by the customer, an apology might not be necessary, but you should indicate that the company wants to do what it takes to make the situation right. Depending on the situation, compensation may be appropriate as well. Use your company guidelines to determine whether a credit or other reward for the customer may be approved. 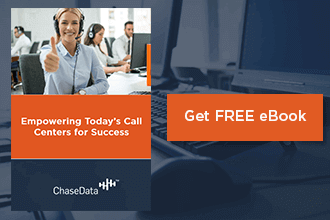 If you would like more ideas on how to improve call center professionals’ effectiveness, ChaseData has an eBook available with many ideas that can put the entire department well on its way to dealing not only with difficult customers but many other challenges along the way!